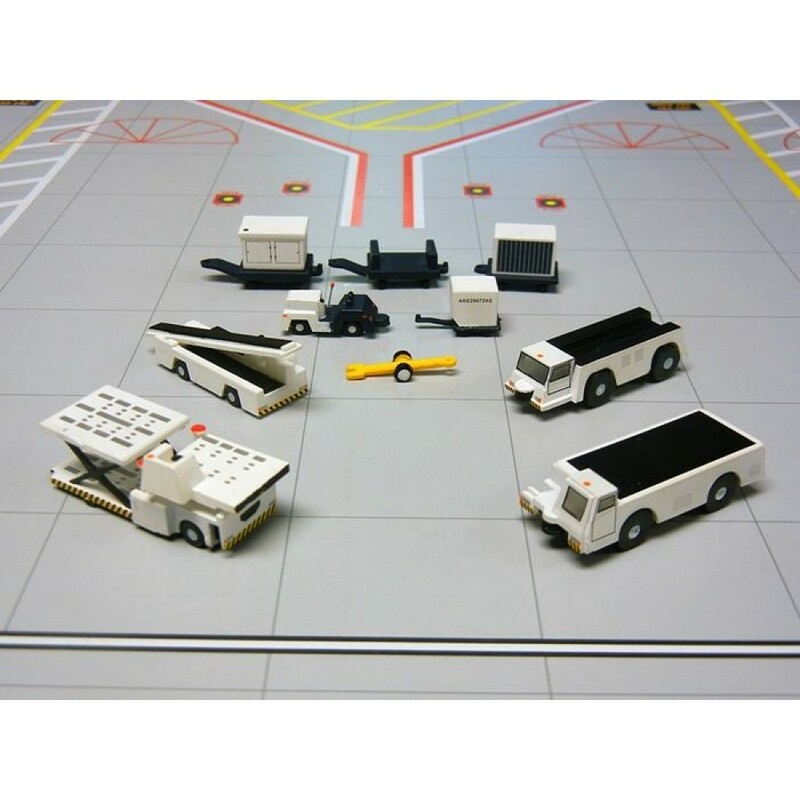 Save 10% on this combo set compared to buying each pack separately. 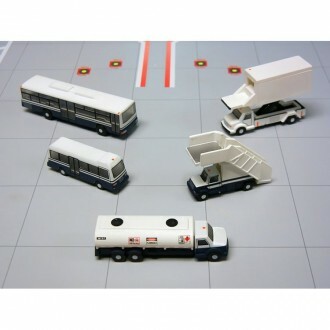 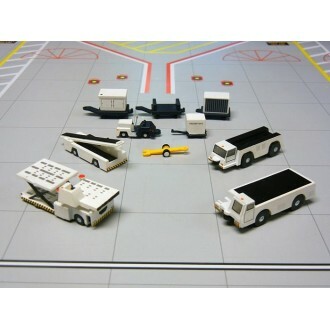 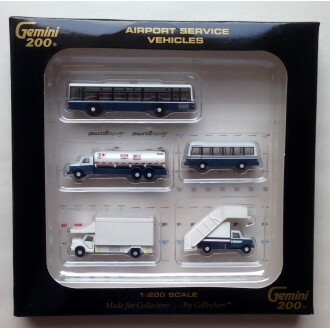 This set is ideal to add some activity and realism to your Gemini 200 collection or any other 1/200 scale model aircraft. 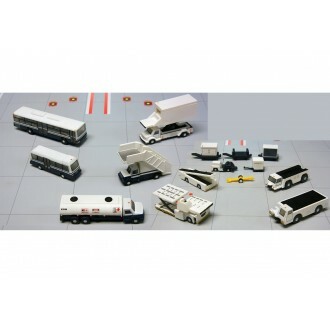 The 15 set includes Mini bus, Large Bus, Fuel Truck, Catering Truck, Mobile Stairs, Small Tug, Medium Tug, Large Tug, Belt Loader, Pallet Loader, Ground Power Cart, Container Cart, Covered Baggage Cart, Open Baggage Cart and Tow Bar. Each vehicle is well detailed and has clear windows. The set also comes with 2 sheets of stickers enabling you to customise each model. 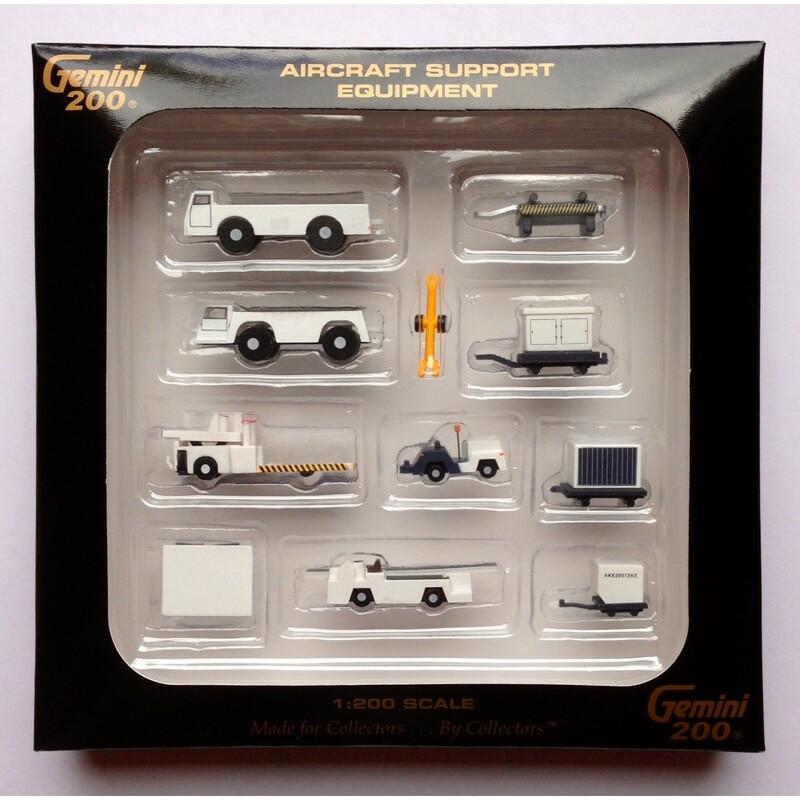 This set is ideal to add some activity and realism to your Gemini 200 collection or any other 1/200 scale model aircraft.